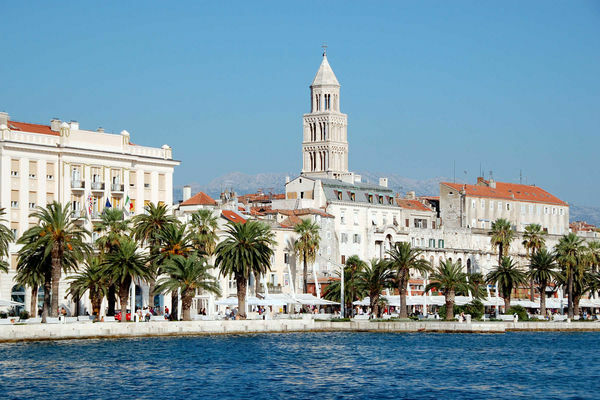 While most of Croatia's coastal towns seem tailor-made for tourism, Split is real and vibrant. Lounging alongside the Adriatic Sea on the famed Dalmatian Coast, Split is Croatia's second-largest city (after capital Zagreb), making it a bustling metropolis, serious port city, major transit hub, and top sightseeing destination, all rolled into one. Split has all the trappings of a modern city. But a close look at the surviving facade of the Roman palace fronting its harbor reveals its ancient roots. 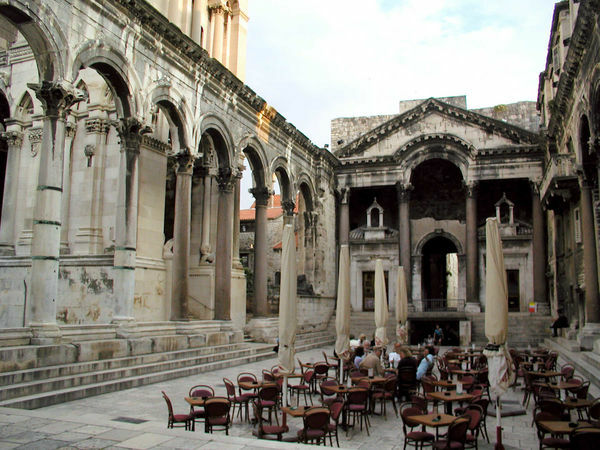 In the fourth century A.D., when the Roman emperor Diocletian retired, he built a vast residence for his golden years here in his native Dalmatia. When Rome fell, the palace was abandoned. Eventually, a medieval town sprouted from its abandoned shell. And, to this day, the maze of narrow alleys — literally Diocletian's hallways at one point in time — makes up the core of Split. Today's residents are actually living in a Roman emperor's palace. Back in its heyday, the harborfront was Diocletian's back door. There was no embankment in front of the palace, so the water came right up to the door — sort of an emergency exit by boat. Just inside this gate, visitors can explore a labyrinth of cellars that once supported the palace. Rediscovered only in the last century, the cellars enabled archaeologists to derive the floor plan of some of the palace's long-gone upper sections. From the cellars, a grand underground hallway, now used as a shopping arcade, leads outside to the Peristyle (Split's main square) and Diocletian's vestibule, the dramatically domed entryway to the emperor's private rooms. These days, this grand space is often home to an all-male band of a cappella singers performing klapa — the quintessential Dalmatian folk music. 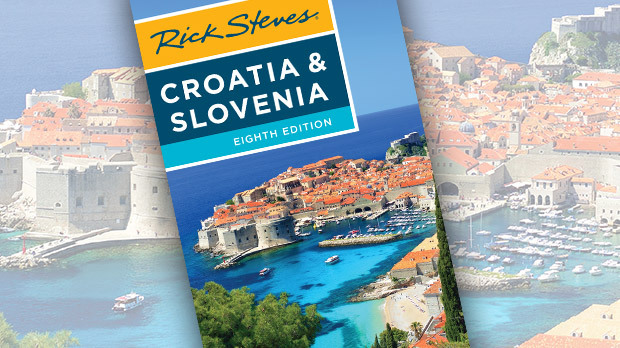 These songs of seafaring life, of loves lost and loves found, stir the souls of Croatians and visitors alike. Overlooking the Peristyle, Diocletian's mausoleum once dominated the center of the palace complex. Much of the original Roman building survives, including the impressive dome, columns and capitals, and fine carved reliefs. Diocletian was notorious for persecuting Christians. But a thousand years ago, his mausoleum was converted into the Cathedral of St. Dominus. And so, ironically, what Diocletian built to glorify his memory is used instead to remember his victims. A few steps away is a temple dedicated to Jupiter. Roman emperors often made themselves a god. Diocletian was Jovius, son of the top god, Jupiter. People kissed his robe; he was like a deity on earth. About the time the mausoleum became a cathedral, the temple was converted into a baptistery, housing a huge 12th-century baptismal font large enough to immerse someone (as was the tradition in those days). Just outside the Old Town is a museum dedicated to Ivan Meštrović, Croatia's answer to Rodin. Meštrović's sculptures, which depict biblical, mythological, political, and everyday themes, are everywhere in Croatia — in the streets, squares, and museums. His work also appears in the United States — for example, he sculpted a pair of giant Native American warriors on horseback in Chicago's Grant Park. The museum's highlights include the quietly poignant Roman Pietà, in which Meštrović follows the classical pyramid form, with Joseph of Arimathea, Mary, and Mary Magdalene surrounding the limp body of Christ (he also did a marble version of this for the campus of Notre Dame in Indiana). The sculpture Job — howling with an agony verging on insanity — was carved by the artist in exile, as his country was turned upside-down by World War II. Meštrović sketched his inspiration for this piece while he was imprisoned by the Ustaše, Croatia's Nazi puppet government. After diving into the city's ancient and artistic past, I enjoy dipping into modern-day Split. Matejuška has long been Split's working fishermen's harbor. While the area has received a facelift, it still retains its striped-collar character. The enclosed harbor area is filled with working fishing boats and colorful dinghies that bob in unison. At the opposite end of town, the lively open-air Green Market is where residents shop for produce and clothes. The Marjan Peninsula, a huge, hilly, and relatively undeveloped spit of parkland, located right next to Split's Old Town, feels like a chunk of wilderness, a stone's throw from the big city. With out-of-the-way beaches and miles of hiking and biking trails, this is where residents go to relax. At the end of the day, a highlight for me is simply people-watching. The sea of Croatian humanity laps at the walls of Diocletian's Palace along the pedestrian promenade called "the Riva." As on similar promenades throughout the Mediterranean world, cars have made way for people. Strolling locals finish their days in good style here — just enjoying life's simple pleasures in a city that so seamlessly weaves its past and present.